The DEACONS at SGPC take great pride in taking care of the of the Congregation and it’s Officers and strive to live up to all of our “Deacon Responsibilities” that include: Maintaining contact with visits, telephone calls, cards, e-mails and weekly chats at church, Home Communion, Meals in time of need, Rides to & from church, External resources, Memorial/Funeral Service planning and various other services as needed. The DEACONS at SGPC offer a “Meal Ministry” that serves SGPC members in time of need with an active list of volunteers that can provide meals when needed. Karen Blevins coordinates this ministry. The DEACONS at SGPC maintain a “Ride Ministry” to provide rides to and from SGPC for those who are unable to drive to church or are home bound. Anne Frohlich coordinates this ministry. The DEACONS at SGPC compiled a “Just In Case” tool kit for end of life considerations and important information needed for our children. The DEACONS AT SGPC serve Home Communion to members who request it after the service on the first Sunday of the month. 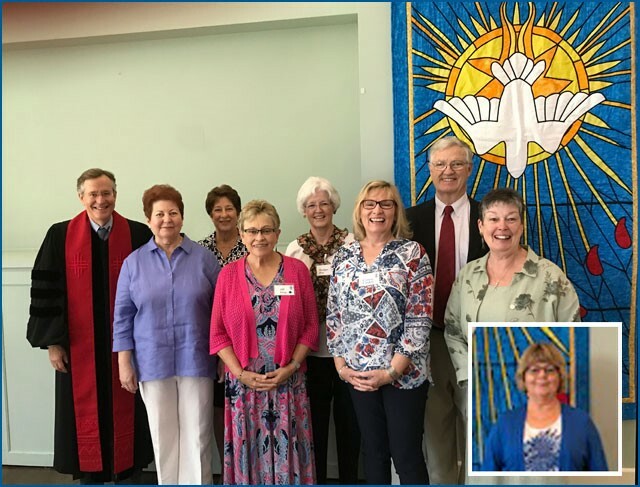 The DEACONS at SGPC facilitate & encourage the use of local resources such as Faith in Action, Austin Area Agency for Aging, etc. The DEACONS AT SGPC RECOGNIZE a need and TAKE CARE of it.